Washington vs Oregon – it’s a rivalry that has existed since the 19th Century, and it’s not just in college football or basketball. The WA/OR rivalry extends to just about everything in this corner of the country. Ironic because the two states and its citizen are also so very similar in so many aspects. So much so that folks outside of the great Pacific Northwest often get the two states confused and view them as interchangeable. But those of us who live here can list the differences and “bests” as easily as rain flows off the back of an Oregon Duck or splashes off a Washington Husky. Washingtonians will tell you they are the best at everything, while Oregonians will say no-way they are the best. Mt. Rainier is bigger than Mt. Hood. Portland is hipper and cooler than Seattle. One has no income tax, the other has no sales tax. Washington has Starbucks, Microsoft, and Amazon. Oregon has Nike and…, well that’s about it. From a motorcycle rider perspective, both have wonderful roads and destinations to explore. Oregon has US 101 along the coast, and Washington has SR-410 over Mt. Rainier into Yakima. Washington has US 2 across the state. Oregon has US 395 from John Day to Pendleton. It’s hard to pick a winner, although at least in Washington you can pump your own gas. But there is one category that Oregon beats Washington hands down. Yet again. According to Wallet Hub, a personal finance web site, Oregon is the best state to drive in in the United States. Washington is way down the list at number 48. Washington is the worst state in the continental United States -- even California, my other home, ranks higher in drivability than dear old Washington. Now I’ve been writing this column for some nine years. I think every year someone comes out with some sort of a drivability ranking, whether it’s the insurance industry or someone else, and every year Washington ranks at or near the bottom. Kind of like the way Alabama always ranks at the bottom for education spending, Washington seems to always rank at the bottom when it comes to drivability. There just must be something magical about crossing over the Columbia River. The Wallet Hub survey ranks the drivability of states with 30 sets of categories, the main ones being: Cost of ownership and maintenance; traffic and infrastructure; safety, and access to vehicles and maintenance. Washington ranked well below average in a few major categories too, coming in at number 48 when it comes to gas prices and 44 in both road quality and car theft rate, and 33 in congestion. Only 33? This despite personal experience in congestion that rivals Los Angeles whose state is dead last in that respect. At least Washington has a long way to go to the bottom of the congestion category. Where did Washington come in above average you ask? Washington ranked 20th in per-capital car dealerships, and 21st in number of auto repair shops. This is truly the free market in action folks – the market goes where the problem is. Lots of dealers and repair places to sell you another ride or fix your motorcycle when it breaks on some of the worst roads in the country. Compare that to the best place to drive in America according to Wallet Hub – Oregon. And this despite the annoying gas pumping issue and a perpetually lower speed-limits everywhere. Oregon comes in above average – way above average in all those same categories where Washington falls short. They come in at number 11 in Traffic infrastructure, compared to Washington’s 33, and they rank at number 22 in overall cost of ownership, compared to Washington’s bottom dwelling number 48! In cost of ownership Washington ranks 48th – only California and Hawaii are more expensive. When you break down the cost of ownership, the biggest factor in that category are license costs, sales taxes, and gas taxes. In all three of those Washington ranks dead last. It has the most expensive car license fees, the highest sales tax on vehicles, and at the time the survey was done in 2018, the second highest gas tax. That has now fallen to third since California raised theirs. With the legislature in session in both Washington and Oregon right now, these rankings could change. I’m not hopeful but it could. They could reduce Washington’s registration fees, especially in the Sound Transit counties, but I don’t see it happening, nor will they reduce the sales tax. Washington will likely remain a very expensive place to drive or ride in for the foreseeable future. What I don’t understand is the traffic. Congestion in Portland is as maddening as it is in Seattle – I’d rank them equal with each other and slightly ahead of Los Angeles and San Francisco and New York City in descending order. And despite that, Oregon still comes out as number one. Good for them. And as they say, one man’s data is another man’s fake news. In any case, if I had to pick a favorite place to ride between either Washington or Oregon, I don’t know if I could – despite Oregon’s silly gas pumping law (can you tell it really irritates me?) They both rank high in my book, and I couldn’t tell you which I like better to be honest, they both have fantastic places to ride. 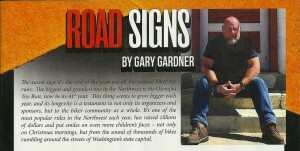 I love riding US 95 in Central Oregon, and US 101 on the Olympic Peninsula. 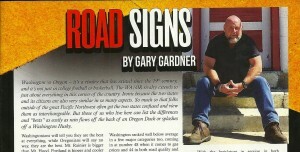 I love SR 14 in Washington, and US 395 in Oregon. I can’t tell you which state I like riding the best. So, let’s split it down the middle – right down the Columbia River Gorge. But in that case, we’ll have to give the edge to Washington, as SR-14 is better than I-84 since a two lane beats a freeway in my book any day. So maybe Washington wins it after all. Especially since I can pump my own gas. We have been having "winter" here in the desert this year -- over 90 days without a high over 80 degrees, and lots of snow in the mountains, and a tremendous amount of rain. More rain than we get in a year and it's only February! Meanwhile back in Seattle they have been getting a ton of snow too. I've not done any riding yet this year either -- so busy with my City Council duties and recovering from the hospital stay in December, plus the crummy weather. Hoping all that changes soon. Meanwhie, here is my February QuickThrottle column, in which we look at the slap on the wrist a rouge bad cop got after pulling a gun on a rider last year that made national news. Very dissappointing. I think like most folks, we bikers have kind of a “love/hate” relationship with law enforcement. We rely on them for protection, we appreciate it when they respond to our calls for help, and we mourn them when they are killed or injured in the line of duty. At the same time, we curse them when we are pulled over for no “real” (in our mind) reason, when we are given a ticket for doing something “everyone else does”, or when we are nearly run off the road by a cell phone using cage driver and there isn’t a policeman in sight. And police are often in a no-win situation – damned if they do, damned if they don’t. It’s easy sometimes to forget that they are human beings just like we are. It’s that “love/hate” relationship that drives our interactions with them and colors our perceptions when interacting with them. But the vast majority of interactions with law enforcement are – even when we get a ticket – non-confrontational and not entirely unpleasant. But all it takes is one bad apple, one bad encounter to make everyone suspicious of each other, be they biker or cop. It was a few bad apple police that would “profile” riders and use that as an excuse to pull a rider over. Things like wearing a leather jacket, or a patch from a club, having loud pipes, ape-hanger handle bars, then using that as an excuse for harassing or looking for a reason to write a ticket, that created the need for Washington State’s first in the nation “anti-profiling” legislation from a few years ago. As far as I’ve been able to tell, incidents between riders and law enforcement are down because of that, and we should applaud our rider groups for getting that legislation enacted. Which is why the now infamous incident in August of 2017, where a rider was stopped in the middle of the road and had a gun pulled on him by an off-duty, un-unformed officer who proceeded to pull a non-service issued gun on him, caused such a stir. I’m sure you remember the incident – which I wrote about as well back in the December 2017 issue. The video, which was recorded by the rider, one Alex Randall who was fortunately for him wearing a helmet cam, went viral and can still be found on YouTube. (https://www.youtube.com/watch?v=YSNb6NPoCy0) If he hadn’t had that camera, no one would believe what happened him. In fact, watching the video a year later is still frightening. But what is even more frightening is that after a year-long investigation, and clear evidence of the terrifying if not illegal behavior on the part of King County Sheriff’s detective Richard Rowe, it netted only a five-day suspension for the detective and a $65,000 payment (of taxpayer dollars) to the rider, Alex Randall. Five days off and a settlement that didn’t cover legal fees was all the punishment for the abhorrent behavior. Watch the video. Tell me that the officer, who had three previous complaints of road rage and misconduct against him, shouldn’t have been fired. The reason he wasn’t fired? His behavior was not considered a “use of force”. In who’s topsy-turvy world is having a gun pointed at you by someone isn’t a “use of force”, especially when it’s a police officer who failed to identify himself as such, who’s standing in the middle of the road blocking traffic, and who said to Randall “you’re driving f-ing recklessly, give me your license or I’m going to knock you off your bike.” Really? This isn’t a “use of force”? The Sheriff’s office internal investigation unit determined in December that the detective had violated some internal policies during the incident, but he had not used excessive force because “no actual force was used.” Now apparently as a result of this incident, King County Sheriff Mitzi Johanknecht is revising their internal policies to state that drawing a weapon is in fact a “use of force” – so perhaps there is some good that will come out of this. It seems kind of obvious that drawing a weapon is a use of force. I’d suggest that keeping track of such incidents should be required. Detective Rowe is quoted as saying he had drawn had pointed his gun at citizens “multiple times” and never reported it. Let’s hope the Sheriff makes this a policy. And maybe even take it to the next level – have the legislature require it of all police departments. There is a review of all shootings and other uses of force – maybe we need a review of all weapons drawn and pointed at individuals too, or at least some training that an officer needs a lawful reason to draw a weapon and point it at someone. Something Detective Rowe clearly did not. Why is it we’ll tolerate a “bad apple” – whether it’s on our side or theirs? I know riders who will defend other riders regardless of their behavior, out of some sense of loyalty, just like law enforcement officers have their infamous “thin blue line” who defend all police actions regardless. Why is that? Especially in obvious cases like this one? 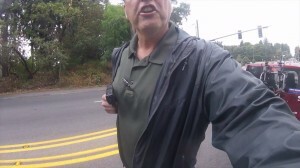 I’ll be the first to call out a rider for asinine behavior – why can’t the police do the same? This officer deserves to be fired at the very least. Yesterday marked the start of the Washington State Legislature's 2019 session -- and the fifth session since I retired and am no longer wandering the halls of Olympia. 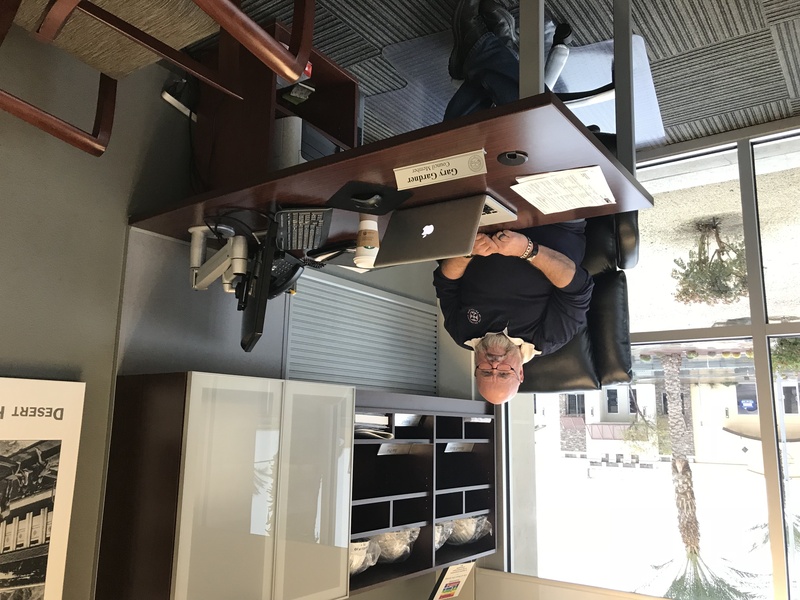 About the time I would have been heading off with all my colleagues and friends to the opening day "Third House" reception (the association of lobbyists), I was sitting in my new office at the Desert Hot Springs City Hall on my first day of "open office" hours in my new role as a member of the City Council. I'm enjoying the new role quite a bit -- and sitting across the table from my old job. Happy New Year and welcome to 2019. The beginning of the year always heralds new goals, new wishes, new dreams. It also hails new legislatures. Yep, it’s that time of year again, when the folks we elect to govern us and make laws descend on the state capitol for the annual legislative session. This year the session in Washington starts on January 14th, and will run 105 days, or so – till sometime in April if all goes well. This is the “long” session year, and there are a lot of new faces in this legislature, and a number of old-timers have retired. What this will mean to the riding community still remains to be seen, but there are a few more positive signs than there have been in the past decade or so, which could signal some real progress on issues that concern we as riders. Probably the most significant change is that of the chairman of the House Transportation Committee. Long-time chairman Rep. Judy Clibborn did not seek re-election this last year and retired. Rep. Clibborn, while generally supportive of overall motorcycle and road issues, was not supportive of helmet repeal or limitations, or of lane splitting – two issues that resonate with most of the riders and would fall on their wish-lists. Replacing her will be Rep. Jake Fey of Tacoma. He was the vice-chair of Transportation. It’s not entirely clear where he will land on the spectrum of support for those two issues, but it’s never too early to start educating him and convincing him to move in those directions. Over on the Senate side, the Senate Transportation Committee remains chaired by Senator Steve Hobbs of Lake Stevens. Senator Hobbs has not been supportive of helmet law modifications or of lane splitting in the past. Despite his opposition, there still is a better chance this year than in years past of getting some traction and movement on these issues. The reason for that is that already several bills have been “pre-filed”, for introduction when the session starts. Among those pre-filed bills are SB 2007 from Senator Chirstine Rolfes, of Baindbridge Island. The bill would eliminate the requirement of a rider to purcahse liability insurance if one is wearing a helmet and requires a helmet if the rider is under age 21. In other words, if one wears a helmet one not need buy liability insurance, if one chooses to ride without a helmet you must have liability insurance. This is a novel take on the helmet debate, one that I don’t recall seeing before and might actually have some traction – particularly since Senator Rolfes is the chair of the Ways and Means Committee which oversees the state budget – and she could use this as a way to trade votes and get support from members who might not otherwise support a helmet modification bill. And along a similar vein, Rep. Laurie Jenkins of Tacoma pre-filed HB 1014 which would eliminate the liability insurance requirement entirely for motorcycle riders. Rep. Jenkins is the chair of the House Judiciary Committee and as such pulls significant weight in the House. Again, we have an opportunity for some horse trading of votes in this case, which could give this a greater chance of passage than in previous years. And these are just two pre-filed bills – who knows what will happen once the session gets rolling in earnest in January. On average there’s usually a couple of thousand bills filed in the course of the session, and who knows what other issues might come forward that will affect riders in the Northwest. Which is why it’s very important for you to attend if you can, the annual “Black Thursday” motorcycle lobbying day at the Capitol that is sponsored by ABATE and other motorcycle clubs. Black Thursday is the key event for those interested in influencing policy at the state level. If you’ve never gone it’s a great event – an opportunity for you to get to know your legislators and make your concerns known when it comes to issues that affect us as riders. It’s early in the session, and a good time to get on the ground and let your elected officials know where you stand on key issues. Black Thursday this year will be held on January 17th at the State Capitol in Olympia. You can find more details in ABATE of Washington’s ad in this issue. Suffice to say thought, it’s a good event, a great way for you to get to know your fellow riders, and perhaps even make a difference in the laws and policies that govern us in the Northwest when it comes to riding. As I’ve said many times – elections have consequences. And as a result, laws can be changed for the better or the worse. If you want to make sure you voice gets heard, work with your motorcycle riding clubs and organizations, participate in Black Thursday, and keep in contact with your elected officials. It is the only way things will change. Well it seems another year has gone by. 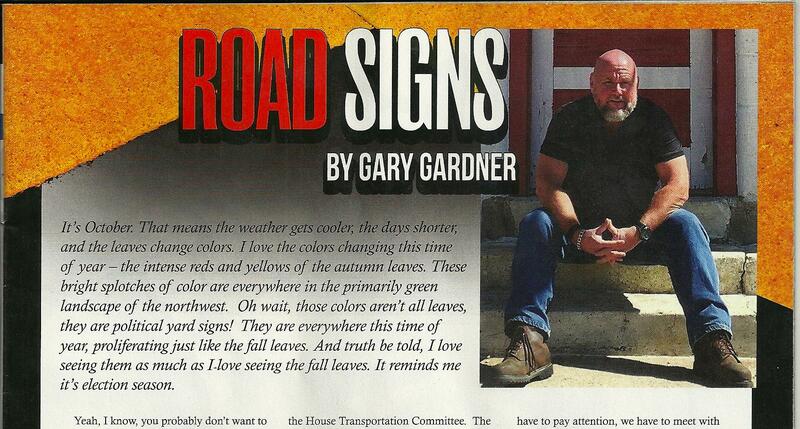 And the only thing I've written or posted have been my Road Signs columns this year. That saddens me, and as we make a new years resolution, I'm going to do my best to write more than just my columns for here. I miss writing, and my focus has been elsewhere this year for sure. Next year is right around the corner, and among a few other changes, I'll be making a better effort at writing more. Merry Christmas and my 2019 be fantastic! The surest sign it’s the end of the year are all the annual biker Toy Runs. The biggest and grandest one in the Northwest is the Olympia Toy Run, now in its 41st year. This thing seems to grow bigger each year, and its longevity is a testament to not only it’s organizers and sponsors, but to the biker community as a whole. It’s one of the most popular rides in the Northwest each year and has raised zillions of dollars and put smiles on even more children’s faces – not only on Christmas mornings, but from the sound of a thousand or so bikes rumbling around the streets of Washington’s state capital. Bikers on the whole are among the most giving of any group. Get two bikers together and the next thing you know someone will suggest a charity and voila they’ll be out collecting for it. Entire clubs have been formed to raise money and awareness for an issue or cause – Bikers Against Child Abuse for example. It’s very common for HOG chapters and other groups to adopt a cause or two, and groups of bikers to pass around the hat for a fellow rider who’s injured, sick, or just plain down on their luck. I’ve often wondered why is that? Why are bikers among the most charitable and giving people? What is it about the motorcycle community that makes us that way? I honestly don’t have a good answer. It’s easy to discern “why” with some groups – churches for example. It’s part of the basic fundamental value of all religions to help those less fortunate or in need. It’s also why clubs and fraternal organizations like Rotary and the Elks were formed and still exist – community service and charity. But bikers? Why is that? We riders will use any excuse to get together for a ride, and more often than not we are riding for a charity or to raise funds for someone in the community who has fallen on hard times or for a fellow biker who is injured, or to honor the passing of someone. So why are so many people so afraid of bikers. Why is that? Is it the noise from the bike? Is it a cavalier attitude towards traffic laws? (Sort of like how I get very irritated at the small number of obnoxious bicyclists who when they ignore traffic rules and get pissed off at cars make all bicyclists look bad.) Is it the black leather we wear which makes everyone look menacing? Is it the long hair? (or lack of it in my case) tattoos and other piercings. Is it the "devil may care" attitude, or the often obnoxious and semi-obscene (or really obscene) patches we sometimes sew on our leathers? All of the above? My friend and pseudo Grandmother Madelon who is about to turn 90 years old this month once said to me: "You sure scary when you pull up on your bike and if I didn't know you, I'd be scared to death, but I know the real you. But I won't tell anyone you're just a big pile of goo inside." Goo? A pile of goo inside? Me? Maybe I'm just a big softy, who knows -- but damn near every biker I know is like that too! And it's not a front! And while we may look like tough bastards on the outside -- as Madelon said, we are all just "a pile of goo inside." My sister likened it to the scene in the Wizard of Oz where Dorothy and company are trembling in fear before the Wizard -- his scary disembodied head floating above them with flames on the side, before Toto pulls back the curtain to reveal the real guy. Well that’s what we bikers are. We just have to work to make sure the public pulls back that curtain from time to time. Toy run season is the perfect time for that. Alas, by the time you read this the big Olympia Toy Run this year will be over – but make plans for next year or check the calendar section in here for other similar events this month. There’s always some sort of charitable ride going on, even in December, and if it’s not a ride, it’s a gathering, or party where the admission is a new toy, and many dealers have giving trees for needy kids in their lobby. The options are endless if you look for them. But I still don’t have an answer to my question. What is it that makes bikers some of the most giving people I know? I don’t have a really good answer. The only thing I can think of is that it is a result of the joy we all feel when we are riding, and the smiles on our faces when we hop off our bike after a great ride. It’s infectious, it makes you feel good about life and no matter how awful things are, a ride makes you feel good. We wanna share that feeling with everyone we meet, even if they can’t ride. Our rides make us happy – we want everyone to feel that way, so we work to make it happen. We give to make folks happy when they are down. To put a smile on their face that matches the one we get when we ride. Maybe that’s it. I don’t know, but it makes sense to me. Just sent in my December column to the editor, so it's time to post the November one. Can't believe the year is winding down so fast! Elections have consequences. A pretty obvious statement, but one that people tend to forget. By the time you read this edition, we will be a week or less away from another election. An election that will have consequences for riders in the Pacific Northwest, from the state legislatures to city councils to congress, as well as numerous ballot initiatives. I know a lot of people skip over or don’t really pay much attention to the initiatives – after all that’s how Washington got saddled with the disastrous and obscenely expensive Sound Transit 3 mess a few years ago. You know, the one that caused your license plate tabs to climb off the charts, and that make renewing your bike plates more expensive than your loan payment. Yeah that initiative. If you aren’t careful, and you don’t read it closely, there’s another hidden little monster on your ballot this fall in Washington. It’s the “Carbon Tax”, known as I-1631. Now on the ballot it’s not called a “tax”, but rather a “fee”. 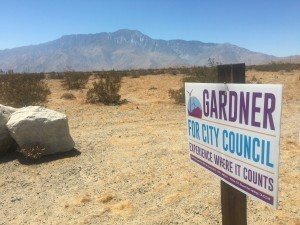 In fact, the question on the ballot says: “This measure would charge pollution fees on sources of greenhouse gas pollutants and use the revenue to reduce pollution, promote clean energy, and address climate impacts, under oversight of a public board.” The proponents think that by calling it a “fee” not a tax that you’ll be fooled into voting for it, just like with the Sound Transit “car tab fee” increase. Now, why as riders should we care? Two reasons. The net effect of this would be to further increase the gas tax, already the third highest in the nation behind Pennsylvania and California, another whopping 14 cents per gallon. Let that sink in. And while that will add about .72 cents to the cost of a fill-up on a six-gallon tank Harley Ultra, just think what that will add to the cost of your 20-gallon car every time you fill up on top of that! Not to mention the additional cost added on to the price of everything that emits carbon, from the natural gas that heats our homes and runs our busses, and even fuels many power plants, to the diesel fuel that is used in railroad locomotives and trucks that deliver our food and goods. This tax – err, “fee” – is expected to raise up to $1 BILLION, that’s with a “B”, and climb as it increases $2 per ton plus inflation each year. That .14 cents per gallon increases is based on the initial $15 per ton. Add $2 and change a year to that and each year the gas tax will climb about 10% more. Fourteen cents becomes sixteen, which then becomes nineteen etc, in perpetuity! And what becomes of all that money? Well it doesn’t go to making the roads better or traffic flow more smoothly – something that would reduce carbon output much more significantly. It falls under the control of a board of “citizens” appointed by the governor. Fifteen unelected people will then get to divvy up that pot of money on any flaky hair-brained scheme they come up with. They are not accountable to the citizens in any way. Still not convinced? Consider this. As gas prices rise, the pressure to reduce the price then increases. The easiest way to reduce them is to add ethanol to the mix. The EPA announced in October that they are rewriting the rules to allow for additional ethanol – up to 15%, at the direction of the President. You know what 15% ethanol will do to an air-cooled Harley motor? It’s not pretty. It eats up gasket seals, and it burns hotter than regular gas. Harley’s with their air-cooled engines will burn up. The likelihood of increased ethanol is why Harley developed those partially liquid cooled larger Milwaukee Eight engines. The easiest way to reduce tail-pipe emissions is to burn hotter and with more ethanol. On any older Harley engine, it’s going to destroy it. This is why the Motorcycle Riders Federation and other motorcycle advocacy groups have been working and lobbying the EPA to not go to E-15 fuel. But the demand for lower cost fuel, coupled with the cry from corn farmers in the Midwest who have been hit hard with the trade war with China, is putting pressure on the EPA to adopt E-15. If Washington increases its fuel tax by .14 cents per gallon, that pressure further increases to do something easy to lower fuels costs. Say hello to widespread E-15, making those long trips where gas is scarce, harder to find something that will not destroy your rides engine. The EPA wants to also allow its sale year-round, not just winter months. But in the summer that high of ethanol causes more pollution not less. But we gotta make the farmers happy and consumers happy with lower gas prices. That is until they have higher engine repair bills that eat up those meager savings. So yes, elections do have consequences. Pay attention to what’s on the ballot this fall and know what you are voting for or against -- especially those pesky initiatives. And keep a close watch on your wallet, as well as your motor! Half way through October, and the heat's broken here in the desert -- with temps in the 80s for the most part! I haven't run the AC in a week! Still talking politics in the column this month too. Enjoy! It’s October. That means the weather gets cooler, the days shorter, and the leaves change colors. I love the colors changing this time of year – the intense reds and yellows of the autumn leaves. These bright splotches of color are everywhere in the primarily green landscape of the northwest. Oh wait, those colors aren’t all leaves, they are political yard signs! They are everywhere this time of year, proliferating just like the fall leaves. And truth be told, I love seeing them as much as I love seeing the fall leaves. It reminds me it’s election season. Yeah, I know, you probably don’t want to be reminded of that fact. You probably don’t need to if you watch TV at all. You can’t escape it, and when you want to escape it on your bike you can’t either because of all those darn yard signs everywhere right? But you should not – no, you must not ignore them. It’s crucial that we all pay attention to them. Not to each particular sign or ad or what not, but to the fact that it is election time. And it does matter to us -- as riders, as citizens, that we elect people who will reflect what concerns us when they are in Olympia, or Salem, or Washington DC or even our city and town halls making the decisions we elect them to make. Not paying attention has consequences. Consequences that can be detrimental to what matters, or that can mean positive changes that we want. The prime example in recent memory was the ballot question four years ago in Western Washington known as Sound Transit 3. It passed. You noticed because your plate renewals went up so high you almost need financing from a bank to pay for them. You also aren’t getting your money’s worth – especially if you live in Pierce County or Snohomish County. We could argue that even in King County you aren’t, but that’s a debate for another day. This election year we have another important reason to pay attention to what – and who – is on the ballot, especially in Washington’s State legislative races. I think it’s safe to say that one of the most significant or important issues for us as riders is the helmet law. In past years our riders groups have tried over and over again to get it repealed, only to have that effort stall in the House Transportation Committee. The Chair of that Committee is nor running for re-election this year, so next session there will be a brand-new chair of the Transportation Committee. It’s entirely possible that position could go to someone who is more supportive of modifying the helmet law than the previous chair who was adamantly opposed and wouldn’t even hear the bill. Now no one “runs” for Transportation Committee Chair – it’s given as a plumb to someone in the legislature that’s of the majority party. 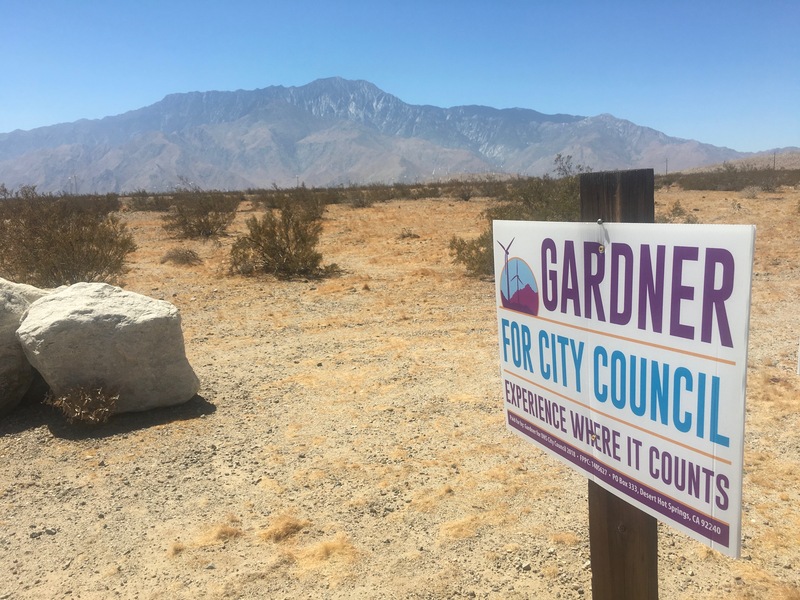 But, given the right mix of legislators elected this fall, that chairmanship could be given to someone who’s more in line with what us riders want. The only way to ensure that is to talk about it with whomever is running in your district. And trust me, they want to hear from you. They’ll be out doorbelling, or you may run into them campaigning at a grocery store on Saturday morning, or at a town-hall or community forum. Take a minute and talk to them, ask them about what concerns you. If it’s the helmet law, ask where they stand. If it’s car tab fees, ask about that. Just ask – and let them know how you feel. It will help you decide who to vote for, and it will help them see what’s important to you. If they say, “no way in hell will I ever vote for a helmet law repeal or modification”, well you know whether or not you should vote for them if that’s the most important thing on your list. I’ve been writing this column for nine years now. In the very first one I wrote urged riders to pay attention to the election, and I’ve said it over and over again each election year, and I’ll continue to say it over and over again. We have to get involved, we have to pay attention, we have to meet with our elected officials on an ongoing basis, not just on Black Thursday at the capitol. We have to hammer, we have to put the pressure on, we have to be in their face, we have to be as annoying to them as I am here! It’s the only way we’ll ever be heard. When your brakes squeal you fix them, when the motor makes a funny noise you work on it, when the gears grind you work on the transmission. When constituents make noise, policy makers listen, and they fix things. Make some noise! As the great African American civil rights leader Frederick Douglas said on his death bed to a young man asking how he could make a difference, the old man said “Agitate! Agitate!” Well, you want to make a difference? Agitate! 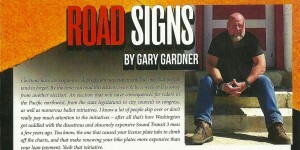 So, don’t ignore those colorful yard signs as you ride by trying to escape the real world for a few hours. Use them as a reminder to check in with your candidates and your elected officials on the ballot before the election and ask them questions. Tell them what you expect of them. Tell them what your priorities and concerns are. Then remember to vote. Surely as the fall leaves change, elections happen, and policies and laws are changed too. And as the fall leaves disappear, so will the colorful yard signs – and your chance to make a difference if you don’t act. There are riders who prefer to ride in groups, and there are riders that prefer to ride solo. For the most part I’m a solo guy. Don’t get me wrong, I love going in a group at times – say up to Cumberland for Taco Thursday or something, and even on a short one-night trip. But more often than not I love riding alone. It’s my time to think. I go where I want when I want. I get up when I want, leave when I want. I eat what I want when I want. I stop and poke around at things that interest me and take lots of pictures of things that I want to shoot. And my bike Angus doesn't mind, he does exactly what I tell him to do. People have asked if I'm lonely out on the road by myself. Not at all. I've got Angus, and we talk. We talk a lot. Call me crazy if you want, but I have great conversations with Angus out on the road. We’ll often solve all the world’s problems in our conversations. And we meet a lot of people along the way, like the locals who welcome me to their small-town cafe, and the people who admire Angus on the street or at gas stations and say what a great looking bike he is and how jealous they are. Sometimes on a long trip when I’m loading up in the morning I’ll spent a good 10 minutes loading up the bag and chatting with a people who loved the bike and wanted to know all about it, and who wished me well on my journey. People love the black denim paint on Angus, and the custom license plate C2CB2B for Coast to Coast, Border to Border. Sometimes I’ll have my music on my iPod too, and the joy of riding down a road in the sunshine. No, I'm not lonely at all. On a long solo trip with no plan I’ll get up this morning and do my usual - go downstairs to the breakfast room at the hotel and look at my Harley Road Atlas to figure out where I want to go while I eat breakfast. And more often than not I’ll just look and say – that direction looks good. As they say, young riders pick a destination and go -- old riders pick a direction. I guess I'm an old rider. If I’m lucky I’ll have the road pretty much to myself, and if I’m really lucky I’ll be surprised at the sparse traffic on the highway. I love it when the road is quiet and it’s rare to see someone coming towards me and I don’t catch up with anyone going my way and no one catches up with me. Having the road to yourself is both scary and wonderful at the same time. Scary in that you wonder if the apocalypse has happened and you are the only one left and wondering if something happens who will rescue you. Wonderful in that you have the road to yourself and no one to distract you, delay you from turning into view points or making U turns when you see something cool and go past it! It's no secret that I despise riding on freeways, and I relish finding a windy quiet back road, even if it takes much longer to get somewhere. No, especially if it takes longer to get somewhere. Back roads are by nature lonely affairs -- with sparse traffic and small towns and ghosts of the road, and that makes me love them even more. Freeways can go through the middle of nowhere as well, but it’s not the same. In fact, it becomes a boring ordeal on the freeway, when the same distance covered on a back road can be an enjoyable experience. And for me, a big part of that enjoyment is the solitude. Just me and Angus -- the road and the sky. A while back I was riding down US-395 in Central Oregon. In the small town of Fox, Oregon I stopped to photograph a wonderful old church and a couple of abandoned farm buildings. I pulled Angus to the shoulder and hopped off when a young man came ambling down the highway, stopping to remove those temporary plastic flappy square road markers that had been laid down some time back when they had paved the road but before they paint striped it. Much of this stretch of lonely road had been recently paved and striped so it was a joy to ride – like ice skating on fresh ice after a zamboni goes over it. The young man and I chatted a bit about the weather and his job -- all while standing in the middle of US-395, and the entire time not a single car came by. He was walking back downhill to his car that he'd parked and would then do the same thing several more times down the highway. As usual, he asked where I was headed and we chatted a bit about his wanting to ride and hoping one day to do so. These are my favorite days -- when it’s just me and Angus, out in the sunshine, riding roads we've never been on. Yes, I’m by myself. But no, I never lonely at all. I have Angus to talk to, strangers who amble by to converse with, and I have the whole world framed between my fists. Potato, potato, potato, potato, potato, potato....we all know that sound. It’s the trademarked, often attempted to duplicate, gut-rumbling, and yes even romantic and evocative sound that an idling Harley-Davidson motorcycle makes. We can recognize it when we hear it coming down the block. It fills our ears when we are riding. And yes, the louder it gets, the better it sounds right? A former neighbor used to say she lived for that sound, and it was a sad day when I moved away and she couldn’t hear Angus coming up the road. And as we all know; loud pipes save lives. Next to being seen, being heard is the best defense against oblivious motorists in cars. But the Seattle City Council, succumbing to pressure from a few of the folks who live along Alki Beach in West Seattle, think that loud motorcycles are something that needs to be fixed. Now Alki Beach is the closest thing we have in the northwest to a California style beach, and by nature, it is a place folks congregate to enjoy sun and the ocean, to cruise in cars and on motorcycles, watching scantily clad folks play volleyball and sunbathe and walk the beach. By nature, it’s a place where there’s going to be cars and motorcycles and yes, noise. I mean, it’s what you do! Or used to anyway. When I first moved there in 1989, and up to now, a few of the folks along Alki have been complaining about noise and cars and cruisers. It comes with the territory I suppose. But to me it’s complaining about one of the elements that makes Alki the cool place that it is, and they’d much rather have it be a private enclave for them to enjoy alone. And they just won at the Seattle City Council, thanks to West Seattle’s councilwoman, Lisa Herbold. Earlier this spring the Seattle City Council took time away from their busy agenda of making things in the city worse as they drive off the cliff on the left end of the political spectrum, so they could pass a revised noise ordinance that would ticket “loud vehicles” $126. What’s more it’s the most poorly written ordinance I’ve ever seen. Noise ordinances are a tough one anyway, and this one is perhaps the worst one ever. It’s doubtful it can be enforced at all, and if it is, it’s impossible to enforce it objectively. And therein lies the problem. It’s designed to be used subjectively and unfairly. For instance, the ordinance doesn’t have any objective measurements for a violation such as a specific measurable noise level. It does not require a police officer to measure the sound in any quantifiable way or even measure the distance with any accuracy. It merely states if it can be “heard” from 75 feet away my someone with “normal hearing”. So what the heck is “normal hearing”? And if you can hear it from 74 feet away and the officer steps back to 75 and he can’t hear it it’s OK? Really now? Even the police department conceded in a hearing in June before the City Council that it can’t really objectively enforce it. Their officers don’t have decibel meters and would they have to measure out 75 feet to determine if they could hear it? And even they couldn’t tell you what “normal hearing” is. But logic and reasoning never seems to enter into the thinking of the Seattle City Council. We all know that this will be used as a tool to go after motorcycle riders and hot-rod car lovers. And it’s a shame too. The “beach culture” is part of the charm of the Alki Beach area, and there’s nothing more American than cruising down the beach boulevard on one’s motorcycle or tricked out car. The years I spent living above Alki it was never an issue for me, I love the sound, the sun, the surf, the people watching, and eating a good burger at sunset on the beach. As a city grows and changes it’s interesting to see how attitudes and things change. For instance; the manager of the venerable Spuds Fish and Chips – a Seattle institution the likes of Dicks and Ivar’s and that’s been on Alki since before I moved there way back in 1989 -- said to the Seattle Times “it does affect us – in a positive way – the more cars the better” and she lives and works on Alki too! Meanwhile the manager of new kid on the block, Blue Moon Burger which was took over an old service station, said “if someone passes by with a loud car or motorcycle it interrupts our service with the guest.” Oh give me a break! Folks sit on their patio, eat an overpriced burger, for the experience of eating on a beach and people and car watching – or did they forget that? I mean it’s Alki! People go there to cruise, to see and be seen! That’s what you do! Or should we all now conform to the “yuppie over-priced burger with avocado and sprouts” crowd who show up in their uber quiet Prius or Tessla? Are Seattle police going to ticket every garbage truck or Metro bus that goes by now too? I doubt it – just the bikers and the muscle car crowd. I'm sad that I'm not writing essays and blog entries these days. Looking back, all I've posted this year are my QT columns. I've got lots of things I've started, just never finished -- including my book. Life seems to get in the way. One day... Meanwhile, here's the July column, which, if I do say so myself, is one of my favorites. It was actually written some time ago as a blog post on here, and when I needed a column idea for July I reached back and revamped this for the magazine. I've lost track of the young man in this piece, he just dissapeared from Seattle before I moved to the desert... I hope you enjoy. My friend Dan is deaf. And while I knew that, I didn’t really know him, and I really couldn’t say he was a “friend”, just a young guy who hangs out at the same neighborhood tavern I do from time to time. I’d see him standing in the corner with a few other deaf folks and they’d have very spirited and animated sign language conversations. I often joked that when the bar gets hot and stuffy that I'm going to go stand by the deaf crowd and cool off from the breeze created by all their hand movements. The other night I rode out for a drink, and Dan waved as I came in and went hang up my motorcycle jacket. 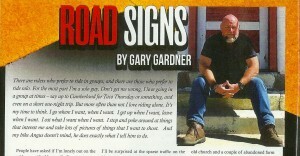 After I did that he came up and made a sign like riding a motorcycle -- his fists in the air, cranking the throttle. I nodded yes I rode. He pointed to the door I guess asking if the bike was out there, so I nodded yes. He gave me a look that I took as if asking "can we look at it?" and I nodded and motioned to the door and he followed me. He saw the bike and let out an "AHHH" and gave me a thumbs up with a huge smile. 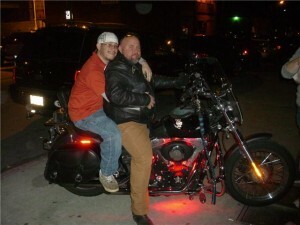 So I sat on the bike and patted the back seat with my hands and invited him to hop on. At first he was a bit hesitant, but I motioned "come on" and patted the seat again. He grinned and climbed on and started the bike up. Now this bike is LOUD, but I'm sure he couldn't hear a thing, but I bet he felt the big V-Twin rev up because he let out a laugh - making a sound almost like an infant would. It's the only sound I've ever heard him make other than the "Ahh" when he first saw the bike. I backed the bike out, and although he didn't have a helmet, we went a few blocks around the neighborhood. He held on to me so tight I couldn’t breathe and I could hear him laughing with pure joy as we rode around for about 10 minutes and I'd rev the engine at the stop lights. When we got back to the bar he hopped off, jumped up and down, and practically danced with delight as he waited for me to stop the bike and climb off. He grabbed me by the arm and pulled me back into the bar to the middle of the deaf group and started to wildly sign. They signed back, and introduced me to his friends, one of whom is somewhat able to speak and who said I had made his night and it was his first ever ride on a motorcycle. He was grinning still, as I headed to the bar for my drink. A bit later I was ready to go, so I got my jacket from the coat check and Dan came up and grabbed my coat and tried to sign something I couldn't understand, and I gave him a puzzled look. He got out his phone and with the keyboard and typed out a note on the screen; "You go now?" And I nodded yes. He grabbed my arm and pulled me towards the deaf group again where there was much signing and a very "loud" but silent conversation. He got his friends camera which he pointed to me and to the door, and then lead the entire group of deaf folks out. He wanted to show it to them and have a picture on the bike. So surrounded by a group of deaf folks, I watched as Dan pointed at the bike, gave a thumbs up, and I climbed on, started the bike and all of them put their hands on the tank to feel the vibrations. I invited Dan to join me and there was no hesitation whatsoever this time, as he hopped right on and handed the camera to his friend. I turned around and said "want to go again?" He nodded wildly yes, so once again we did the loop to the park and around, him hanging on to the seat loop strap this time and laughing out loud the whole way. When we got back to the bar I asked him to email me the picture, so I gave him my phone number so he can text me and my email address. The next afternoon I got a text from him: "Hi, it's Dan - thanks again for the ride on your bike, it was sooooo cool." So I texted him back, and said it was my pleasure and anytime he wanted to go for a ride to let me know. He asked if I was serious and I texted back "hell yeah!" Well, long and short of it, later that afternoon I rode up to Dan’s house with a helmet for him this time and we took off again. We headed out around the foothills of the Cascades and down near Enumclaw where we saw Mt. Rainier. When we came around a corner and there was the Mountain looming in front of us he tapped my shoulder and gave me a thumbs up and signaled to stop so he could take a picture. It was one of those perfect Washington days and the Mountain was out in all it's glory. We continued on our way, and actually spent about 3 hours and did well over 120 miles that afternoon. Neither of us said a word. I was alone with my thoughts as I usually am on the bike - even when riding with someone. When riding with someone you communicate (with hand signals) or chat when stopped at traffic signals, whether they be a passenger or a fellow rider. But this time there was no talking -- however I wasn't alone at all. The only sound I heard was the bike and the wind -- he heard nothing at all, but I know he felt the wind in his face, the sun on his skin, and breathed deep the smell of the fresh air just like I did. He held tight to the seat strap loop, laughed when we went fast around curves, sighed when he saw Mt. Rainier and waved at all the bikers we passed like a he'd been riding all his life. I think we both hated it when I turned back towards his house. We got back to his house and his mother came out and told me that Dan had been a bit down and that since we’d gone riding that night at the bar, he’d been excited and happy and it was the best gift he’d been given in some time. You know I never really thought of it as a “gift”, but I guess the time and the experience was to someone who had never had it. Dan wildly shook my hand and I got a back slap hug. I got out my phone and typed out a message -- "We'll do this again soon". He lit up and grinned, and before I got home there was a text message saying "I'm free next Saturday before 4pm". Weather permitting, I think my new friend and I will go ride and enjoy the sound of silence. In the desert of the Coachella Valley where I live much of the year, our idea of a traffic jam is more than 10 cars at a light, or more than one change of the light to get through it. It’s that way a little bit of the year, in the high tourist seasons of mid-winter when it’s 80 degrees there and minus double digits elsewhere in the country. You get very used to no traffic, and so, as my friends will joke, when I have to go into God awful traffic areas like the SoCal/Los Angeles area it requires extra high-blood pressure medicine or maybe a medicinal edible on my part, and another driver so all I do is sit in the passenger seat and grit my teeth. Even then I’ve been known to pout and throw a tantrum. I’ve also been known to take extreme long-ways to get to San Diego or elsewhere in California on the bike just to avoid LA freeways. Back in Seattle, it’s impossible to avoid as well. Traffic in the Northwest just keeps getting worse and worse and worse. It really shouldn’t take an hour and a half to get across Seattle in the middle of the day, but it does and it’s routine, and we become “used” to it. I have friends who say, “hey it only took me two hours to get home today!” Like this is something to crow about? This is not good people. We shouldn’t get “used” to this, just like we shouldn’t get used to having a President who only lied three times today rather than his average five and we aren’t outraged by it. It’s the same thing. That’s why I seek out lonely roads. There is nothing better than having the road all to one’s self. The most famous of the lonely roads of course is US-50 across Nevada. It’s marked on the maps and marketed as the “Loneliest Road In America”, and it’s a popular biker road. I’ve ridden it several times across the middle of Nevada. It’s kind of unnerving until you get used to it. There’s little or no cell service, and only an occasional gas station on this stretch of road. On one trip I went nearly an hour without seeing another car. But once you’ve done it, finding two or more cars at any given time becomes unnerving. It’s why I love that road. But driving south to Nevada from the Northwest is a multi-day trip just to enjoy the solitude of the highway and America’s Loneliest Road. So, what’s an alternative closer to home? 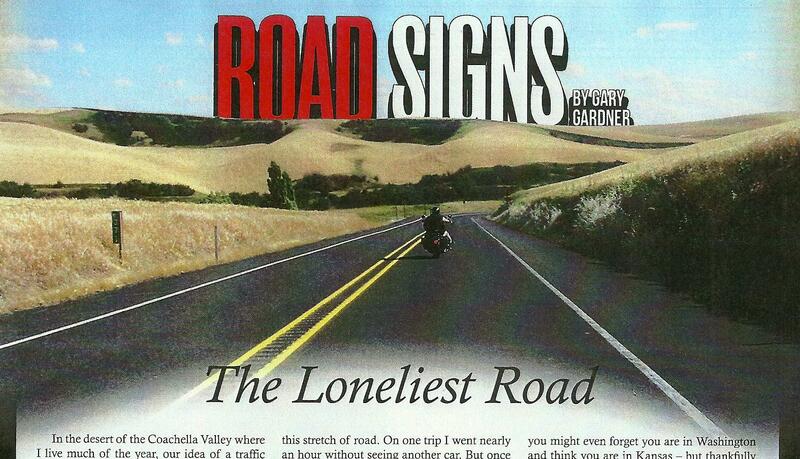 What, do you ask, is the Loneliest Road In Washington? According to Geotab, a Canadian company who specializes in vehicle tracking and management, the loneliest road in Washington is SR-127 out in the Palouse of southeastern Washington – specifically between the towns of Dusty and Dodge. 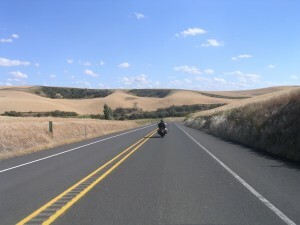 You may have ridden through Dodge if you’ve traveled US-12 between Lewiston, ID and Walla Walla on your way to or from Sturgis. If you sneezed or blinked while riding through you probably missed it too. But if you were to turn north in Dodge and rode up to Dusty, a distance of 28 miles or so, you’d be on Washington’s least trafficked road. You may even pass a car, but it’s doubtful. What you would see is plenty of wheat fields rolling off to the horizon. The Palouse area is one of my favorite parts of Washington. I love riding through it, especially in the spring when the wheat is still green, and in the fall when it’s turned golden. The hills are gentle, the road rolls along and undulates with the land, going up and down and around, moving with the earth. At harvest time you’ll see giant combines who’s rotating blades keep time with whatever song is running in your head, harvesting miles and miles of wheat. For a bit you might even forget you are in Washington and think you are in Kansas – but thankfully there’s no tornados here. It’s an old road too – one of the earliest in the State to be named/numbered and even paved. It was once called the Inland Empire Highway, and it wound through small wheat growing towns all over central and eastern Washington. It was first named in 1913 and it was gravel, running from near Cle Elum up to Laurier on the Canadian border in Ferry County (which gets its name from a former governor of Washington, not from any boat across a body of water). At one time it went through Ellensburg, Yakima, Pasco, Walla Walla, Spokane and Colville. Back then it was gravel, but in 1931 most of it was listed as “oil-macadam” – today we’d call that chip-seal. The bridge across the Snake River was built in 1924, and replaced in 1968 with a large new bridge which is worth a stop on either end just to admire its structure and the crossing of this giant river. 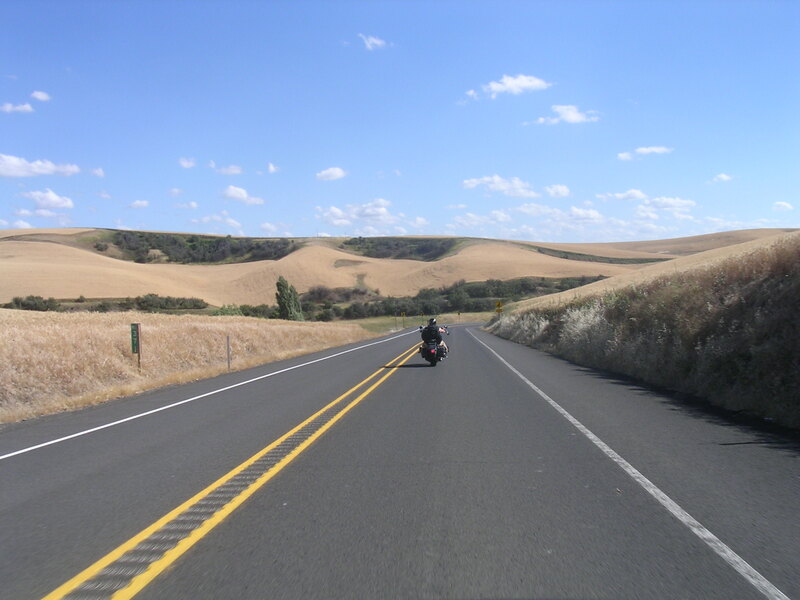 You can wander all over the Palouse on roads just like this one – including US-12 which is a great road that will take you all the way across the upper Midwest if you want – or at least to Sturgis if you are going this year. 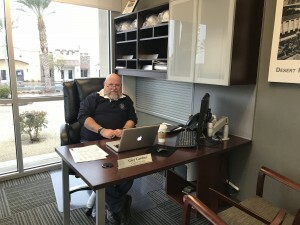 But if you are looking for solitude – of having the road to yourself – without driving all the way to Nevada for the “official” one, and of staking claim to the loneliest road in Washington, you can. It’s SR-127.